As you may already know, I’m interested in how community empowerment can contribute to good placemaking. Not simply consulting or engaging communities about the design and management of places, but consciously empowering them to have control over places. This is hardly a new idea – Rousseau wrote in The Social Contract 250 years ago that “ …houses make a town, but citizens make a city”, and some Greeks and Romans weren’t averse to this kind of thinking either. But community empowerment is under more scrutiny than ever before, be it in the guise of the Big Society south of the border or the Scottish Government’s Community Empowerment Plan. A few days ago I had the privilege of being shown around Tobermory harbour on Mull by the Tobermory Harbour Association, an assessment visit for the Academy of Urbanism’s annual Great Place Award. And a privilege it was, hearing first-hand from the locals who, over the last 25 years, have made the Harbour Association to be an immense force for positive change in the local community. Community entrepreneurs, I would call them, because they combine business acumen with a desire to strengthen their local community. 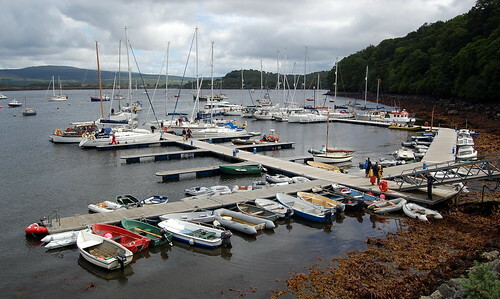 They have made the most of their considerable assets – a natural harbour and compact urban form, and their entrepreneurial spirit and community ethos – to develop pontoons, moorings, a Visitor Centre and business space which are financially self-sustaining and make a huge contribution to the vibrancy of Tobermory as a place to live, work and visit. The way that the Association has done this offers a huge amount of learning for anybody who is interested in what makes good places. For me, one of the biggest lessons was the sharp focus that good placemaking can never be simply about physical and the aesthetic design – it should also be about nurturing greater community empowerment. 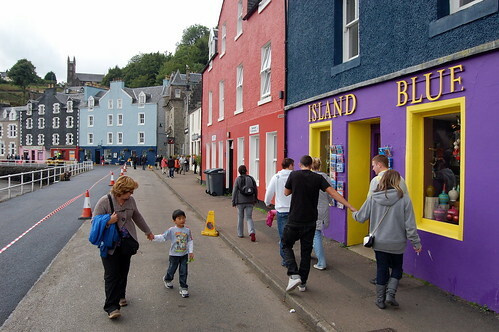 Whilst some physical urban design details are not at the cutting edge – streetscape design for example – what’s far more important is that Tobermory Harbour is a vibrant place. There are virtually no vacant commercial units, unlike most small Scottish towns. The population has been growing in recent years, in contrast to previous decades. More people are staying on the island. New jobs have been created. Of course, these things are not due only to the work of Tobermory Harbour Association over the last 25 years. But I had a strong sense that the Association had made a huge contribution. Underpinned by good governance, community roots and partnership working, this non-profit organisation has made a real difference to the quality of Tobermory as a place. And as a financially self-sustaining enterprise, it can continue to roll out its strategy and support Tobermory as a local community. 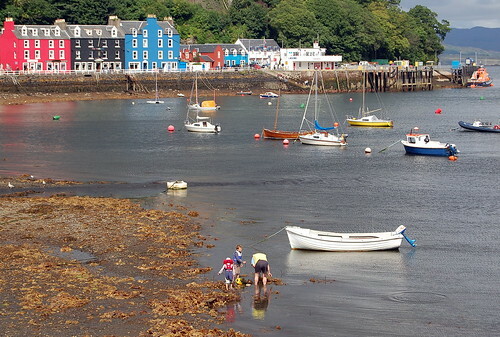 If the planning system could connect physical placemaking more closely with community development, so nurturing organisations like Tobermory Harbour Association, I believe we could achieve enormous improvements in the quality of our places.